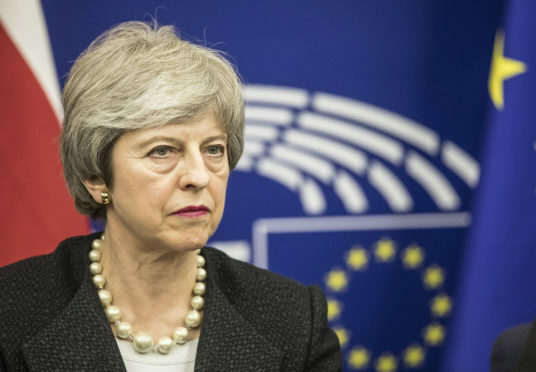 Theresa May’s Brexit plan has been resoundingly rejected by MPs for a third time – opening up the possibility that the UK will now remain in the EU for another year. The prime minister’s “last throw of the dice” to get her deal over the line was rejected by a margin of 58 votes. Mrs May, speaking after the vote, said the implication of the vote was “grave”. She said: “The legal default now is that the United Kingdom is due to leave the European Union on April 12. In just 14 days’ time. “The European Union has been clear that any further extension will need to have a clear purpose and will need to be agreed unanimously by the heads of the other 27 Member States ahead of 12 April. Both Labour leader Jeremy Corbyn and SNP Westminster leader Ian Blackford called on the prime minister to hold a general election after the vote. Mr Corbyn said: “The House has been clear, this deal now has to change. There has to be an alternative found. And if the prime minister can’t accept that then she must go, not at an indeterminate date in the future but now. MPs will next consider Brexit on Monday, when a series of alternative exit options will be considered. The options range from a second referendum to a “softer” customs union Brexit.